After sitting through and participating in 3 days of sessions at ECIL 2016 in Prague while networking with librarians from 51 countries, it was a relief to actually get into a room full of books. On a visit to the Ministry of Culture (Czech Republic), I could actually smell the books before I saw them: dusty, musty– a librarian elixir. 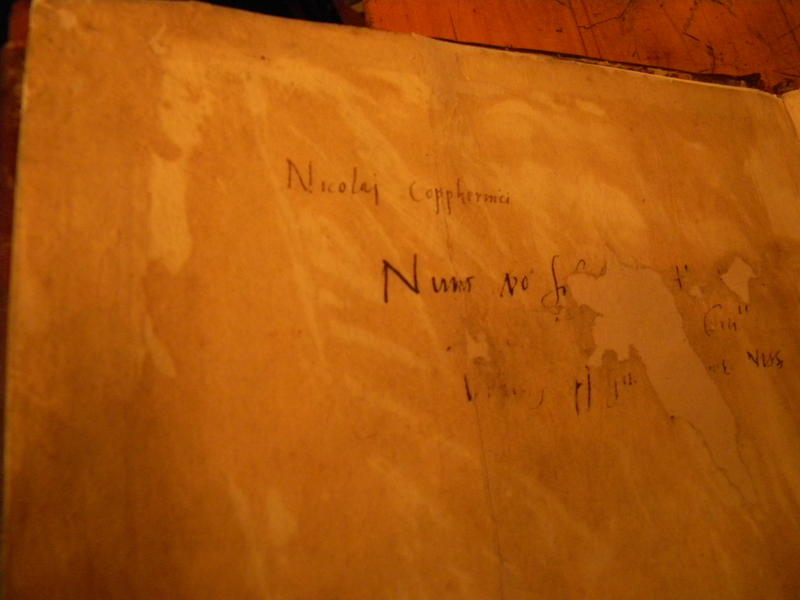 We sighed when we viewed a book with Copernicus’s signature (below) which inspired me to visit a few more libraries on my own. The Klementinum includes The Baroque Library Hall completed in 1722. 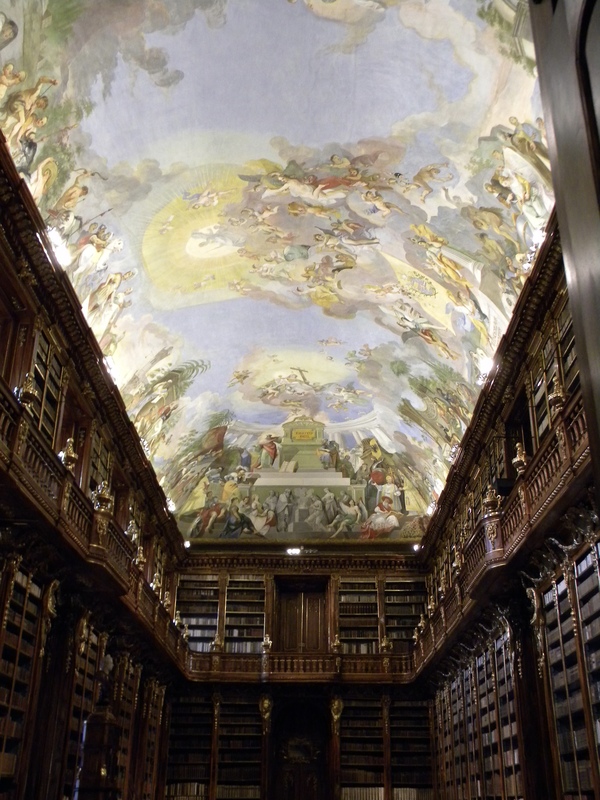 Books comprise theological works since 1600 collected by the Jesuits and the site is currently the National Library of the Czech Republic. 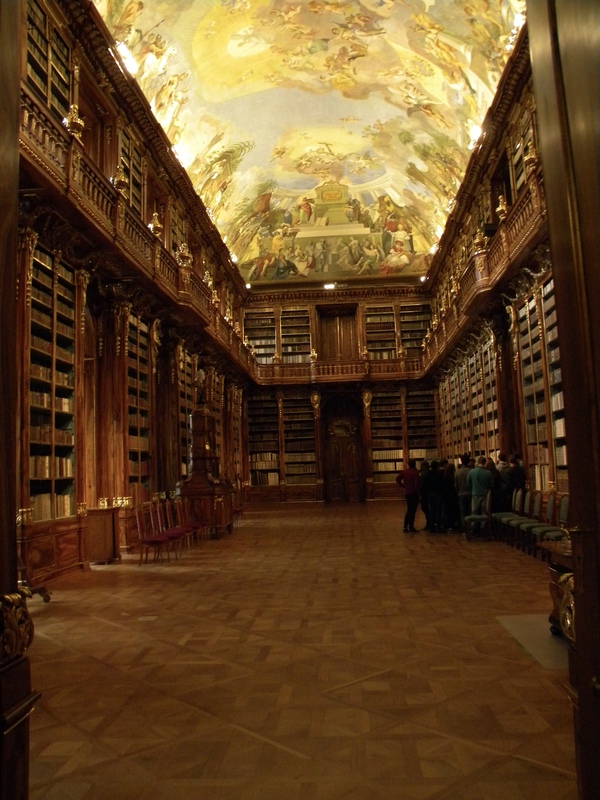 It’s certainly ornate, but no photos were permitted — not a problem because I also visited Strahov Monastery where you can buy a permit to photograph. 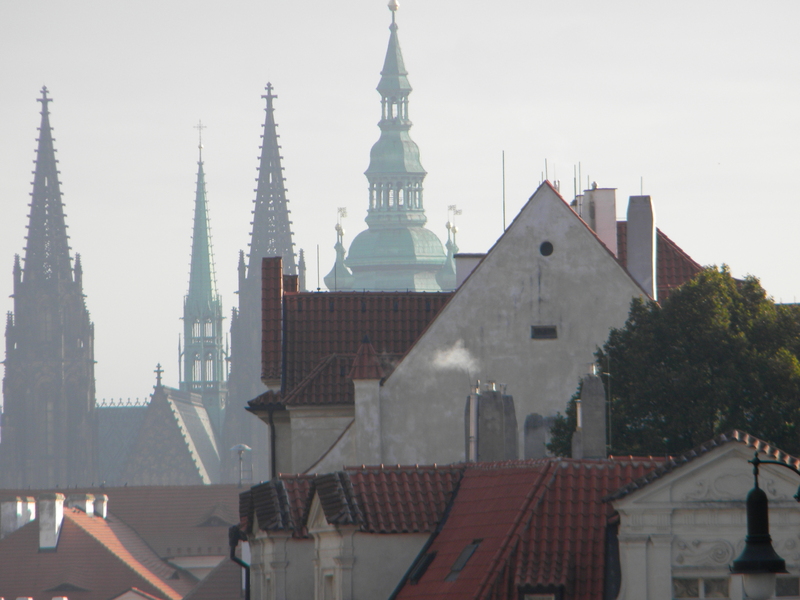 The Strahov was founded in the 12th century as a monastery and houses the Theological and Philosophical Halls. I’ll let the pictures tell the story. It seems ornate ceilings were inspirational in past. I wonder if we’re missing something in our downward viewing today. I’m going to make an effort to look up more often, think things through, if nothing else, to relieve the eye strain. ECIL 2016 was a great chance to look up and out, think, share and consider our place in the library world. There is an abundance of good practice out there, a lot of shared problems and some excellent research (this was a conference loaded with doctoral research and Phds in librarianship). What I find in going out is that it forces me to look in. As a part of a wide-world of libraries, the UCL IOE Library’s hard-working librarians do a sterling job of preserving the old, embracing the new and supporting students amidst a rapidly changing landscape. It’s good to go out, but it’s always nice to come home. 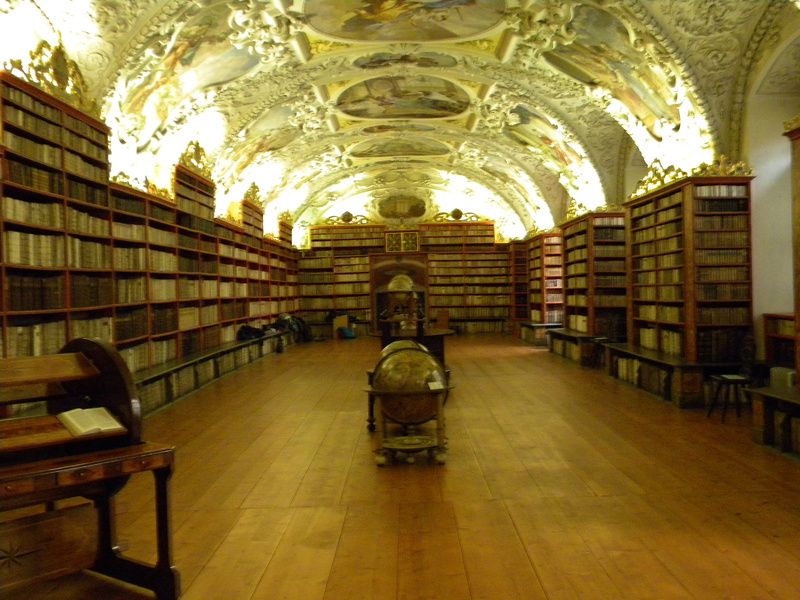 This entry was posted in Library and Archives and tagged conferences, Czech Republic, ECIL, libraries, Prague. Bookmark the permalink.